Arriving relatively late to the 1980s metal party, Germany's Blind Guardian deliver a debut with some promise. 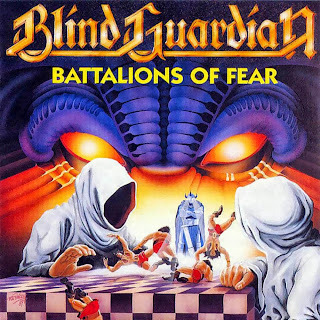 Battalions Of Fear is fast, accurate and influenced by both the power metal of the first half of the decade and the more recent thrash sound. The album does suffer from a notable lack of uniqueness. Almost everything comes from somewhere else, whether derived from the early catalogues of Scorpions, Helloween, Accept, Malmsteen and plenty of Iron Maiden harmonies, or inspired by the more fundamental Metallica riffs. Blind Guardian prove themselves promising students of what has gone before, but they do not yet demonstrate a capability to stamp their own identity. Battalions Of Fear also suffers from limited sonic variety. Most of tracks share the same frantic tempo, key and structure. It's all good, but far from adventurous or ground breaking. Consisting of only six full-fledged tracks plus three shortish instrumentals, Battalions Of Fear edges precariously close to EP territory. Trial By The Archon is really an intro for Wizard's Crown, while the album ends with two not-bad instrumentals that mainly serve to pad the album length by another 5 minutes. The best track is opener Majesty, which provides more focus on melody and a vocal by Hansi Kürsch that is less strained and more in his comfort range. But even on the other more routine selections, the twin guitar riffing by André Olbrich and Marcus Siepen is intense, and the solos are short but sweet. The pure energy of the band is a spark that overcomes the shortcomings in complexity and songwriting. 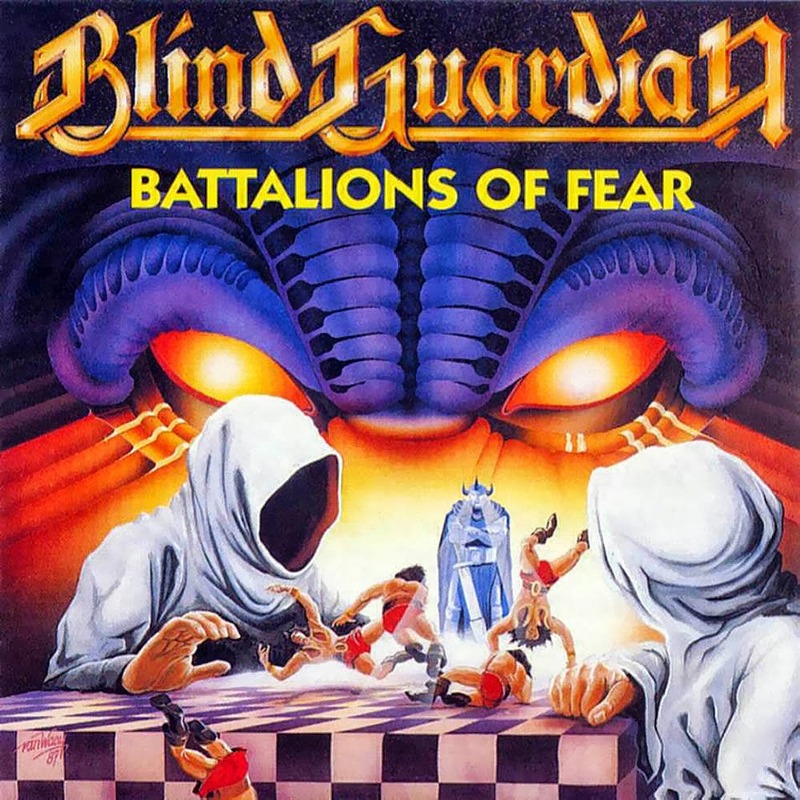 Battalions Of Fear is basic metal, never threatening to dominate but offering moments that point to better things that may come. Produced, Recorded and Mixed by Kalle Trapp.